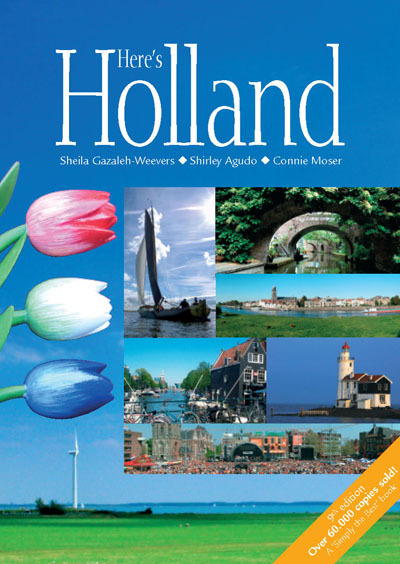 Here’s Holland is for travellers of all ages and interests. 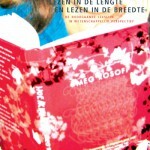 It covers the Dutch way of life, its culture and its customs and is full of useful addresses and tips for trips (including some by boat and others by bike). Just enough detail is included to make travelling easy – whether by car or by Holland’s efficient public transportation system – and all the background history needed to make each trip worthwhile. From exciting cities to picturesque villages, the traveller is guided to treasures of which Holland is justly proud. Culture, art and entertainment; colourful historic, folkloric and sporting events; state of the art recreation parks, nature reserves and fine beaches, not forgetting the flower and bulb fields, shopping, markets and so on. There is so much more to Holland than windmills, tulips and cheese. Favourite finds are generously shared – scenic stops, unique castle hotels and special gourmet and family restaurants. Maps, clear directions, times open and where to call for information, are all included. Readers find the list of Monthly Events particularly useful for planning trips, and the handy Quick Reference section for finding specific information, addresses and telephone numbers. For expatriate families planning a longer stay, a comprehensive section lists contact addresses for relocation, education, medical facilities, clubs and organisations, etc., and offers all the practical advice and information needed to facilitate the settling-in process.